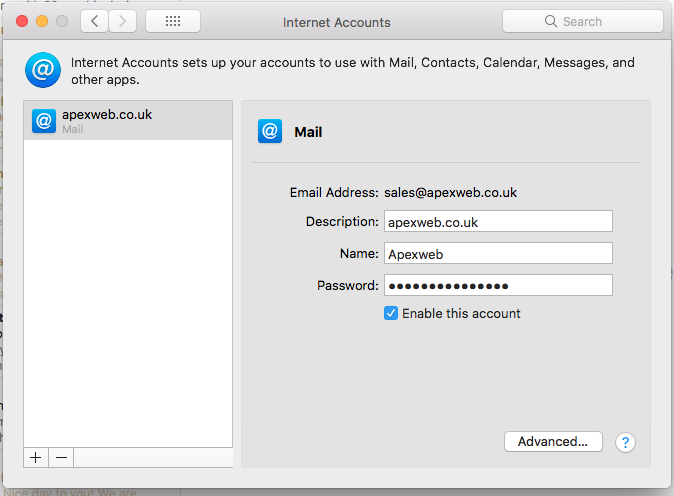 Below are instructions for adding your Apexweb hosted email account on an Apple Mac Mail. Ensure your computer is connected to the internet before adding your email account. 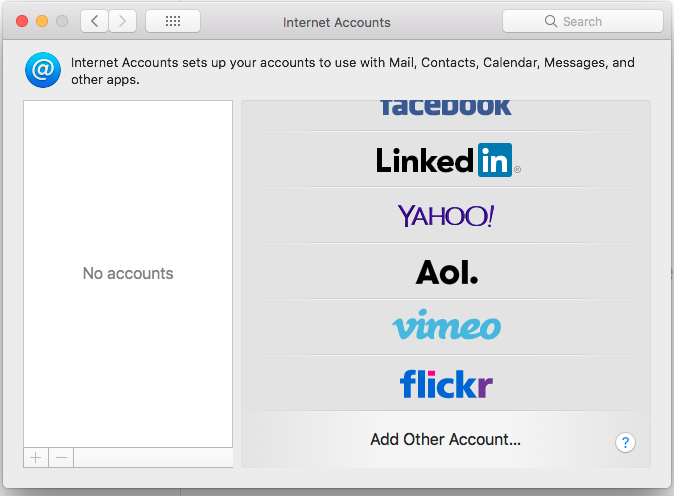 In Mac Mail, go to the "Mail" menu, then select the "Accounts" menu. Scroll down on the list of account types and select "Add Other Account..."
Select "Mail Account" from the new list of account types. 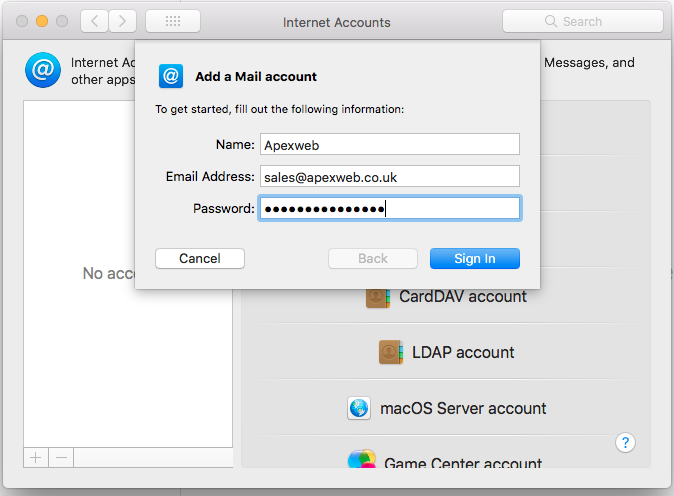 Enter the details as provided for your email account and click "Sign In"
Mac Mail will take you to a second screen where you need to add the mail server type and address. 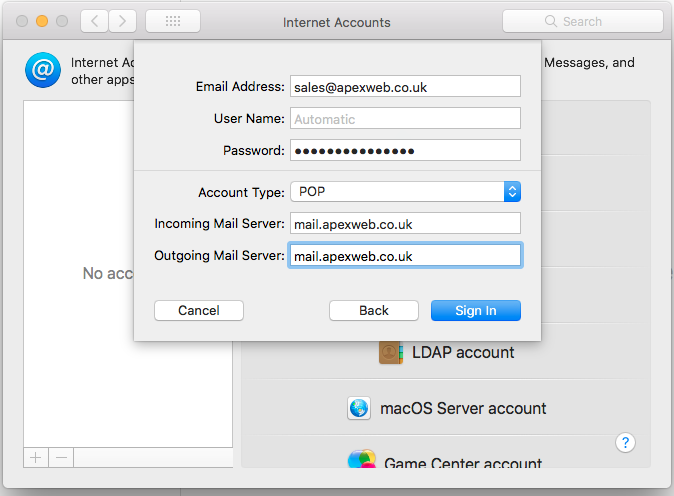 Select POP as the Account Type and enter "mail.apexweb.co.uk" for the Incoming Mail Server and Outgoing Mail Server. Click "Sign In" and you will be taken to a window titled "Internet Accounts" with your new account added. Close this window and you will now be able to use your new email account in Mac Mail. Established in 1998, Apexweb is a web design and development agency based in Swanage in the South of the UK. We offer a wide range of services including website design and e-commerce development.